This new wall console, part number, 39165R is a direct replacement for #34299R. 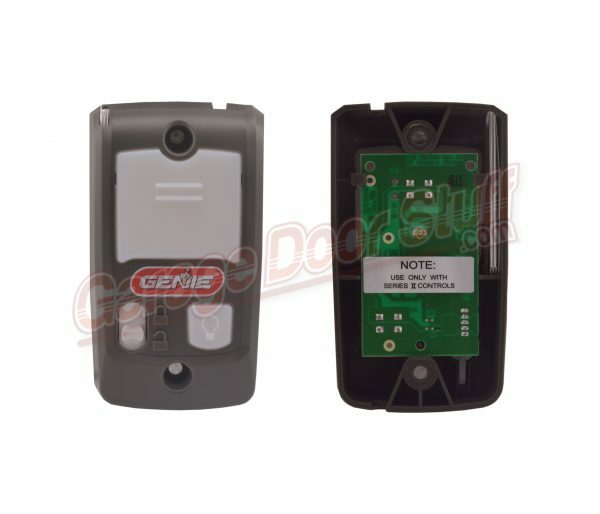 For use with Genie and Overhead Door brand openers using series 2 rolling code, code dodger and intellicode technology. 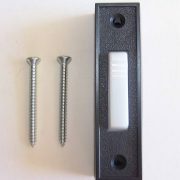 For all series II type openers. This new wall console has and enlarged and much easier to use control button. 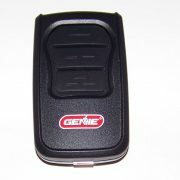 It also controls the light on the opener and locks the opener on models that support those functions. Two mounting screws and instructions are included and this Genie Garage Door Opener Wall Console. This wall console will mount directly to an electrical wall box. 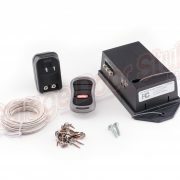 Simple two wire, low voltage hook up. WIRE IS NOT INCLUDED. Wall console has 3 buttons and 1 indicator back light. Back light – indicator back light will display red when wall console is properly wired and “Sure Lock” is off. 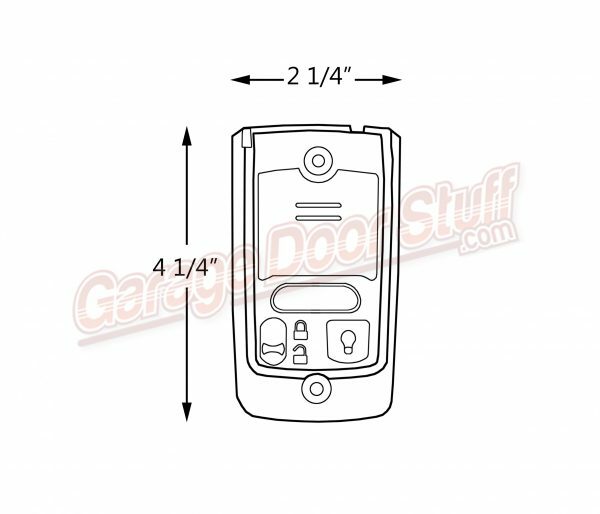 When “Sure Lock” is in, the open/close button will close door only. 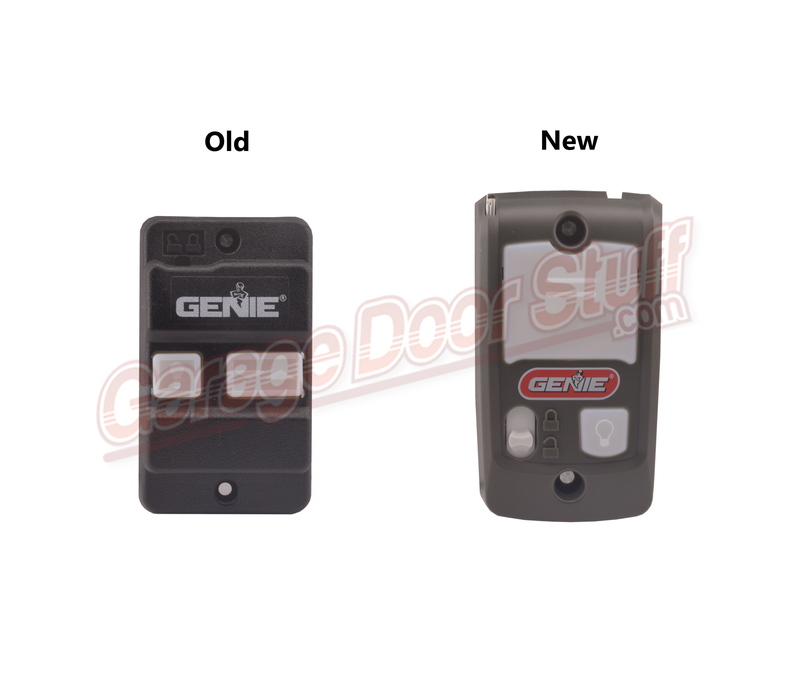 Open/Close button – This button opens and closes the garage door. When “Sure Lock” is on, the open/close button will close door only. Note: Constant button pressure in the close ode will override the safety sensors and close the door. 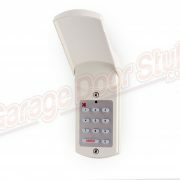 Independent Light Console Button – Use this button to turn garage door opener light on. 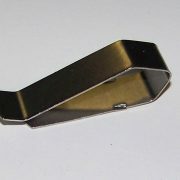 Light will remain on until the button is pressed again or a door action has been completed. 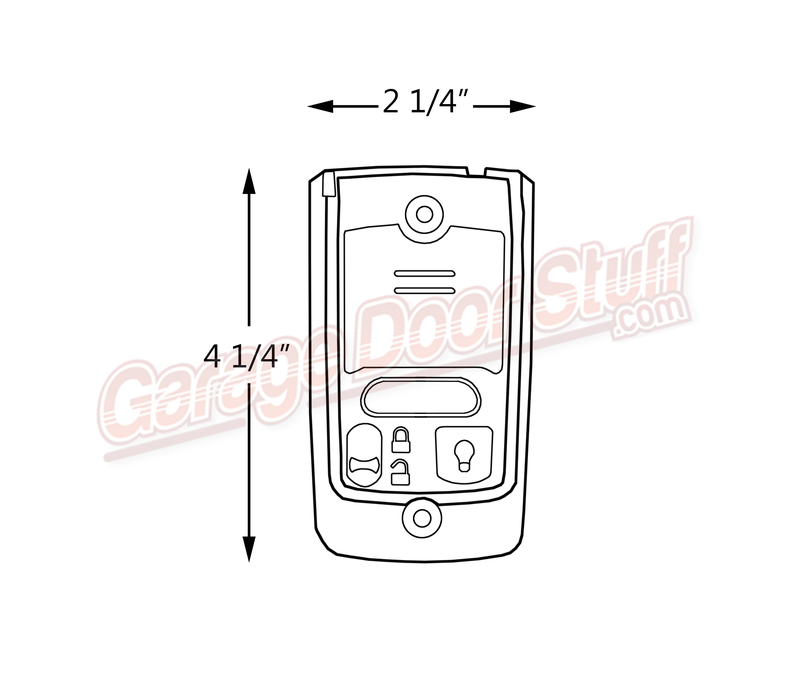 “Sure-Lock” – When the “Sure Lock” is on and the garage door is in the fully closed position, the garage door opener cannot be activated by the wall console or the remote. See out old / new photos, if you had the old style, this is now the replacement.